As the Chinese community in Liverpool has steadily grown, the strength and unity of their common bond has led to the formation of community groups. There are now over twelve such groups in the city offering support and friendship to all Chinese immigrants and overseas students. The Pagoda Arts Centre was founded in 1982, working with the Chinese community across Merseyside. They provide English and Chinese classes, a welfare advisory drop-in service, translation and interpreting services, guidance on learning, training, employment, bilingual health advisory service, art and cultural project, leisure and sports clubs. 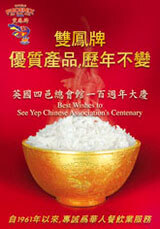 The Wah Sing Chinese Community Centre is a registered charity organisation serving the Chinese Community living in the Merseyside area by providing social, cultural and educational activities. The centre was formed on 5th September 1965 and it has been based at 149 Duke Street, in the Chinatown Area of Liverpool, since its foundation. The Wah Sing Chinese Community Centre is a well-respected organisation in Liverpool with strong links to other major Chinese communities in the UK and Europe. The Liverpool Chinese Business Association is a voluntary organisation that promotes, encourages and supports the development of Chinese businesses, social enterprises and community groups in Merseyside. Chi Kung Tong or Hongmen is part of the Chinese Freemasonry, which has its roots in the 17th century China. Click here to read the history of Chinese Freemasonry. Hoi Yin (Haiyan) is a city in Guangdong province in China. Hoi Yin Association has a large membership of people from Hoi Yin district, who are residing in Liverpool and the surrounding area. Members meet up daily to socialise and exchange interesting stories. Liverpool Cantonese Opera Society members meet weekly to rehearse with live orchestra. They have entertained audiences locally, nationally and internationally. Their performances have always been well received. 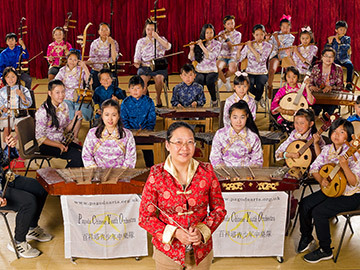 The Liverpool Chinese Youth Orchestra is led by Zilan Liu, who is a well recognised and respected musician in her own right. The orchestra consists of young people of ages up to 18 years old. It is open to anyone who wants to join to play Chinese musical instruments. Under Zilan, the orchestra has played in many venues in and around Liverpool, entertained many tens of thousands of people with numerous wonderful Chinese melodies. See Yep (Si Yi) is the name of 4 counties situated on the Southwest of Guongdong Province of China, namely: Taishan, Kaiping, Enping and Xinhui. The people of these four cities share very similar customs and traditions, and their spoken dialects are also very similar. They tend to socialise amongst themselves in their hometowns and abroad. Therefore, See Yep has always been seen as one region of Guongdong. Because See Yep is located by the sea, people were attracted to migrate abroad in search for a better living standard. Tap Mun is an island, also known as 'Grass Island' in Hong Kong. It is encircled by mountains. There is a deep water bay on the south side of the island. During winter, strong northerly wind blows, creating white-headed sea waves. When the bay is calm, it is a favourite place for fishermen to moor their boats. In the 50's and the 60's, when fishing was most prosperous, hundreds of fishing boats would gather. The island was bustling with food halls and shops. It was at its height of prosperity. It was in the late 50's when the first immigrants left Tap Mun to start their new lives in the UK. They travelled by ship as it was the cheapest method, and the voyage would last one month. Members of the Tap Mun Association in Liverpool keep close contact with their compatriots and often make contributions in the regeneration of the island. Wirral Multicultural Organisation has been serving the BME communities since 1992. 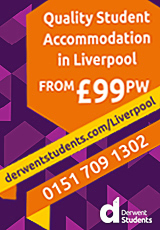 They provide services to Multicultural Ethnic Groups living in the Wirral. CSSA-UK is committed to developing unique and attractive programs and activities locally, nationally and internationally. This enables Chinese students and scholars in the UK, and all other individuals who are interested in China and Chinese culture to experience and enjoy a richer, fuller, and more successful life in the UK and beyond. CSSA-UK particularly devotes itself in promoting education and culture exchange between China and the UK through mutual dialogue and collaborative initiatives on a wide variety of issues. It serves as a platform to bridge the gaps between the East and the Western world, and enhance understanding and awareness among the young generation of the two countries. 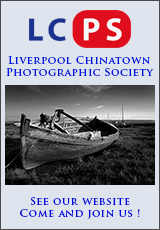 LCSSA is the Liverpool branch of the organisation. Liverpool Chinese Cultural & Recreation Association runs regular weekly badminton games on Friday evenings, and table tennis on Saturdays. There are also music practice, Lion Dance practice, etc. They hold regular cultural exchange meetings, where peoples from different cultures can enlighten the group with stories about their own traditions and way of life. Everyone is welcome to our activities.